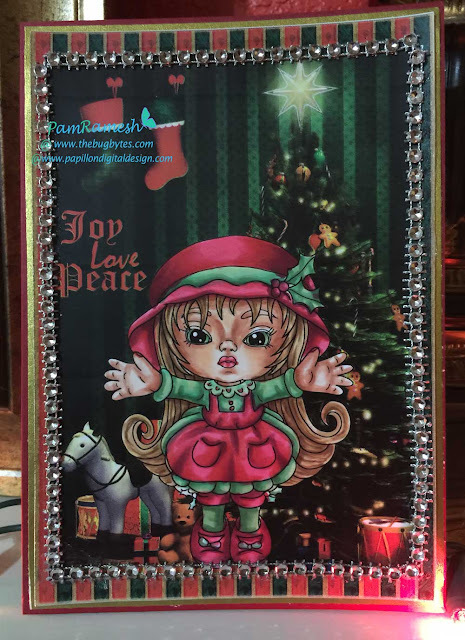 Made a card with the cute friday freebie image from scrappersdelight for the FB Challenge. I also used the xmas background topper from the shop for the background. just the image (not the background) is colored using copics. Matted the image onto gold paper and then red card. and added some bling.